Every higher education setting is different. You have different users, with specific technology requirements that aid in the ability to teach and learn. You have different administrations that value security, reliability and scalability. And, you have different approaches to technology deployment. 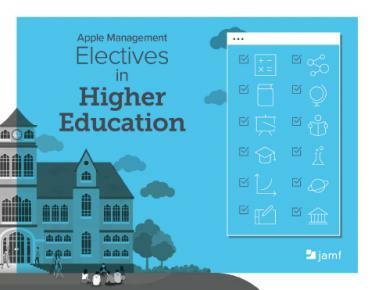 Some of you manage your Apple devices centrally, while others are divided into colleges or departments. None of you are wrong, but you can all learn from one another.